Over the years, I consistently gained weight. I’d gain about 5 to 10 pounds every couple of months, and literally before I knew it, I was pushing 300 pounds. It just kind of happens before you know it. When I got to the point where I knew I had to do something, I literally Googled “centers of excellence for bariatric surgery,” and that’s when Dr. Long at Birmingham Minimally Invasive Surgery came up. From there, I read a lot about Dr. Long and his practice before making the decision to attend a seminar they were holding one Saturday morning. I liked what I heard at the seminar, so I went ahead and made an appointment for a consultation. When I went to see Dr. Long for the first time, I immediately told him I wanted to do gastric band, what I believed was the least invasive of all the weight loss surgeries. After he spent some time getting to learn more about me, my lifestyle and hobbies, he told me he just didn’t think I’d be happy with gastric band. He thought it would restrict me to the point where I wouldn’t be happy, and that it didn’t seem to suit my lifestyle. He went on to educate me in the difference between gastric band and gastric bypass while going into further detail on how the band greatly restricts what you can eat. 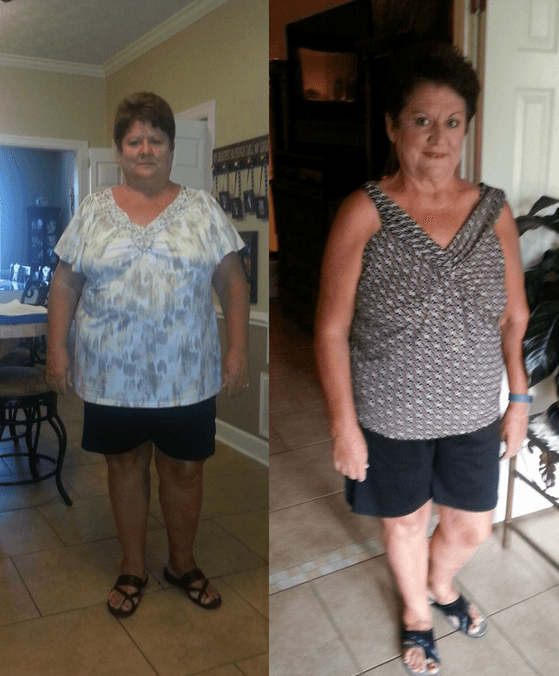 He also said, and I’ll never forget, that though everyone is different, with gastric bypass, at some point in time, I could eat whatever my family eats – I just wouldn’t be able to eat as much. I’m so glad I decided to do gastric bypass because Dr. Long was absolutely right. I have no regrets. None. Prior to the surgery, Dr. Long had me go on a two-week liquid diet that I thought that would be incredibly hard. Turns out, it was actually very easy, and I didn’t have a problem with it all. To my amazement, the liquids kept me satisfied, and I was never even hungry, and during that two weeks I lost 12 pounds. After staying in the hospital two days, I came home on a soft diet with a list of foods I could eat. Whatever was on the list, I was supposed to divide that by three. One of the things on the list was an egg, and it was amazing how long it would take me to eat a third of an egg. Truthfully, I didn’t want to eat anything and never had any food cravings. I just ate because I needed to while focusing on staying hydrated. I kept going back to what Dr. Long said from the get-go – that I can eat whatever my family eats, just not as much. And I do. I eat whatever they eat, just a smaller portion, and I’m totally satisfied. Of course, the surgery does different things to different people, but ever since, I haven’t craved any type of carbonated beverage and haven’t had one in four years. I literally took a sip of my husband’s Diet Coke the other day to get a piece of ice out, and it tasted like chemicals. It was terrible. It’s interesting how I use to love the things I now hate. I used to love desserts and now I can’t stand anything with sugar. I can eat two M&Ms but if I eat four, I get sick because it’s just too much sugar for my body. I’ve been like that with sugar since day one. So, of course, I’ve found a couple things that don’t agree with me, and I just don’t eat them. But that’s what I love about gastric bypass. I’m not restricted, and I can eat anything I want. Ever since the surgery, my life has been great. I can walk up the bleachers at my grandchildren’s softball and baseball games without having to stop after every three steps. It’s wonderful. About seven weeks ago, I even had knee replacement surgery, and I just got through walking across the sand at the beach. I mean, walking in the sand after a recent knee replacement! If I were a hundred pounds heavier, I would not have been able to do that at all. I probably couldn’t have even had the knee replacement in the first place. It’s amazing because now I can put 25 pounds worth of groceries in my arms and walk up steps. I just can’t believe how I carried a hundred extra pounds before this surgery. Dr. Long and his staff are wonderful. I could not ask for better. I’m absolutely satisfied, and I have no regrets, except for wishing I had done this 10 years sooner. I feel like I missed out on some things with my grandchildren because I wasn’t physically able to do the things with them that I can do now, and that’s why I want to encourage others not to wait. If you’re considering weight loss surgery, don’t waste more years of your life like I did. I wish I’d done it 10 years sooner so I could’ve benefited from it way before now. Do it, and I promise it’ll be the best decision of your life. Go see Dr. Long. He’s not in a hurry, takes the time to explain everything to you, and he’s considerate and compassionate. He’s the greatest, and going to him was the best decision I ever made.